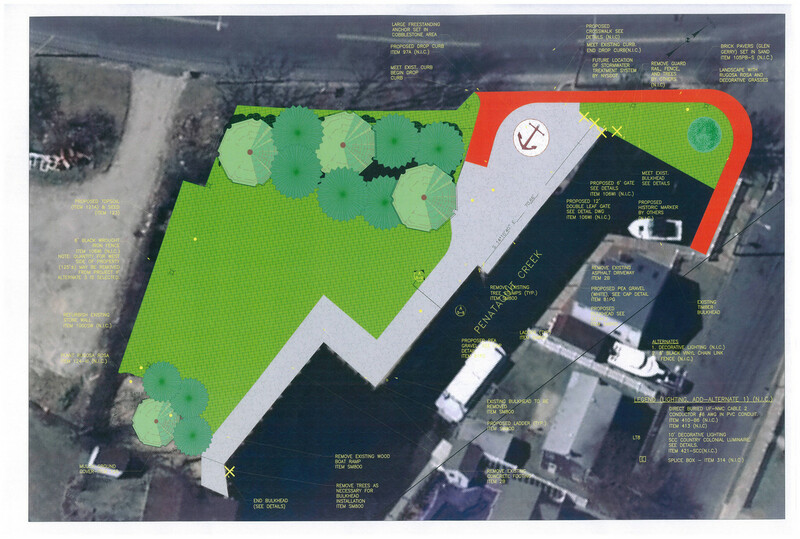 Provided survey & engineering services relative to the development of a new Town waterfront park. Proposed work includes replacement of 260 linear feet of timber bulkhead with navy style vinyl sheet bulkhead. Additionally, aesthetic features such as a pea gravel walkway; decorative lighting; architectural fencing; brick sidewalk and miscellaneous landscaping are also proposed. Site survey and bulkhead structural analyses were all performed by LKMA staff. The proposed design was coordinated with the NYSDOT Penataquit Creek drainage project being designed concurrently in the same area.